Two hours married. So far so good. 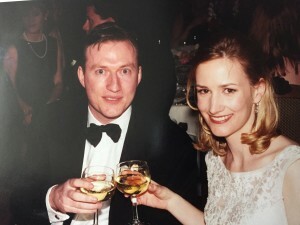 When I was a newly engaged 25 year old registering for wedding gifts, I chose two sets of champagne glasses – fancy crystal ones and the cheaper, boxed ones for everyday. Yes, you read that right. In my mind, we’d definitely need everyday champagne glasses, like for Mondays. 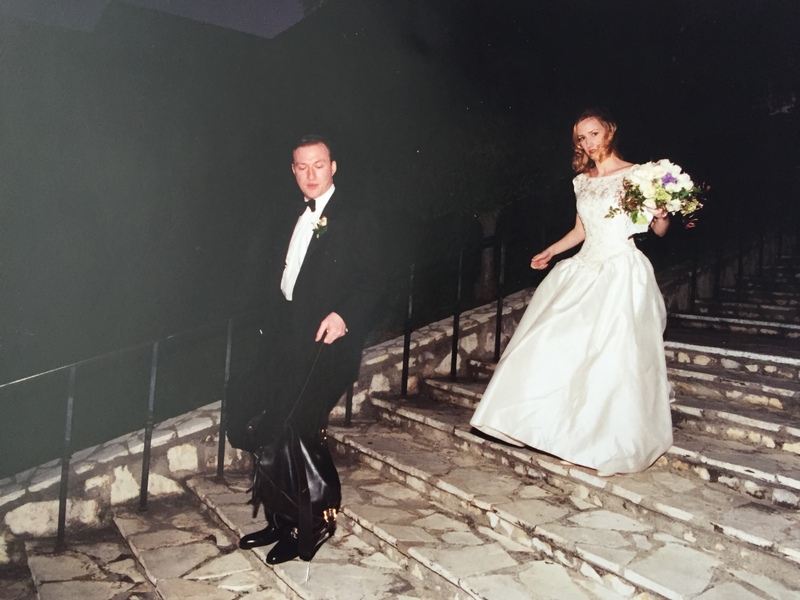 Marriage isn’t exactly what I thought it was going to be 20 years ago when I stood up in front of all those people and promised to be married forever. Marriage was an idea attached to a big party. My boyfriend and all my friends would be there to see me in a really big dress. Turns out ‘married’ and ‘forever’ were concepts I hadn’t grown into. I like to think of romantic relationships as progressing like life, starting in infancy and finally reaching maturity. When I met Tom I attached to him the way a toddler might attach to a strategically placed candy bar in the supermarket checkout aisle. You couldn’t have pried him out of my hands if you’d tried. I was afflicted by that mad, crazy infatuation that is probably the friendly cousin of the flu. Like a little kid with no sense of object permanence, I could barely stand it if he left the room. I decided to marry him after about a week, but kept that to myself as best I could. We were engaged in 9 months, married 9 months later. I couldn’t understand why the whole thing took so long. 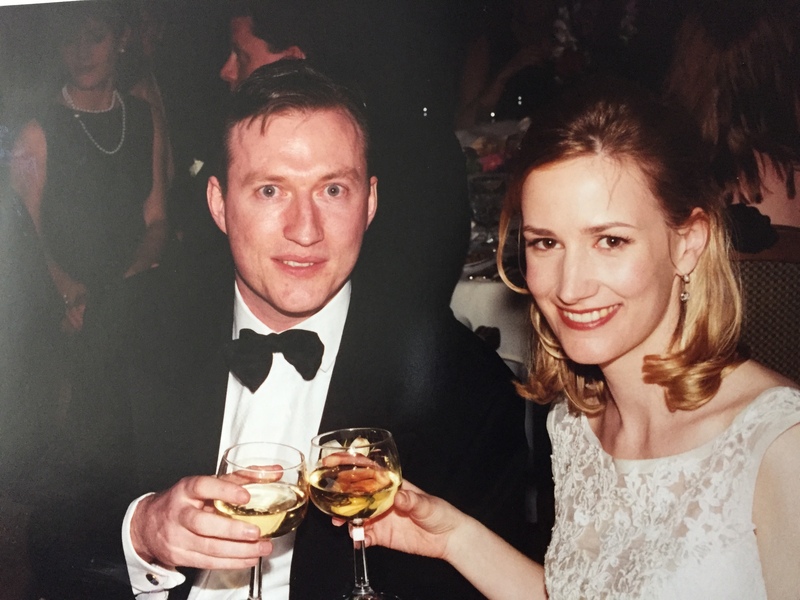 This engagement and newlywed period brought our relationship into adolescence. It’s that time when you’re pretty sure you know what life’s going to look like, mainly because you watched a lot of Dynasty as a kid. As I recall, this period was characterized by a lot of getting; getting jobs, getting engaged, getting presents, getting to go on a honeymoon. We fought about who forgot to fill up the ice tray and solved the problem by moving into an apartment with an icemaker. Why couldn’t everyone be as good at being married as we were? Then life happens. There are beautiful things like children and long walks and a canon of inside jokes that don’t get old. But also banks fail and people get sick. Maybe one of you forgets to renew the other’s commuter parking permit. 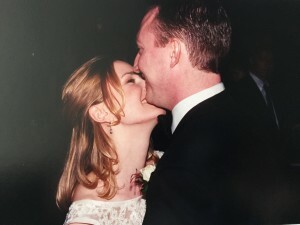 Whatever forces a relationship into adulthood is usually this other, darker side of the marriage vows, the ones we kind of mumbled through because they’d never apply to us. We’d be richer, not poorer, obviously. We had two sets of champagne glasses after all. When life starts to happen, you learn a lot about who your partner is. It’s no longer Saturday night all the time. Adulthood can feel like a string of Mondays. Once you’ve moved through a patch of real life with someone, you learn a lot about the depth of their kindness, the strength of their integrity and the staying power of their sense of humor. It’s in this moment that you stop sweating stuff like the ice trays. You may not have seen these qualities in the infancy of a relationship, as you were blinded by id and roses and that thing that feels like the flu. Twenty-one years ago, it never occurred to me to wonder if my new boyfriend would someday help take care of my disabled brother. Or how he’d react when my mom died. Or if he’d mind my sharing every thought I have about our family on the Internet, should the Internet turn out to be a real thing. With so much good stuff invested over these twenty years, I’ve let go of the nonsensical way he manages the recycling. He’s let go of the whimsical way I put away groceries. Couples who can get through the commuter parking permit thing are above such pettiness. We don’t worry about whether we have things in common. I don’t golf and he doesn’t read, but we have the same address, the same kids, the same plumber who never shows up. At this point, we pretty much have the same life story. Marriage, as it turns out, is more than just a really long, legally-binding date. We are a going concern, each other’s next of kin. Next week we’ll celebrate our 20th anniversary. It’s on a Wednesday so thank goodness for those everyday champagne glasses.